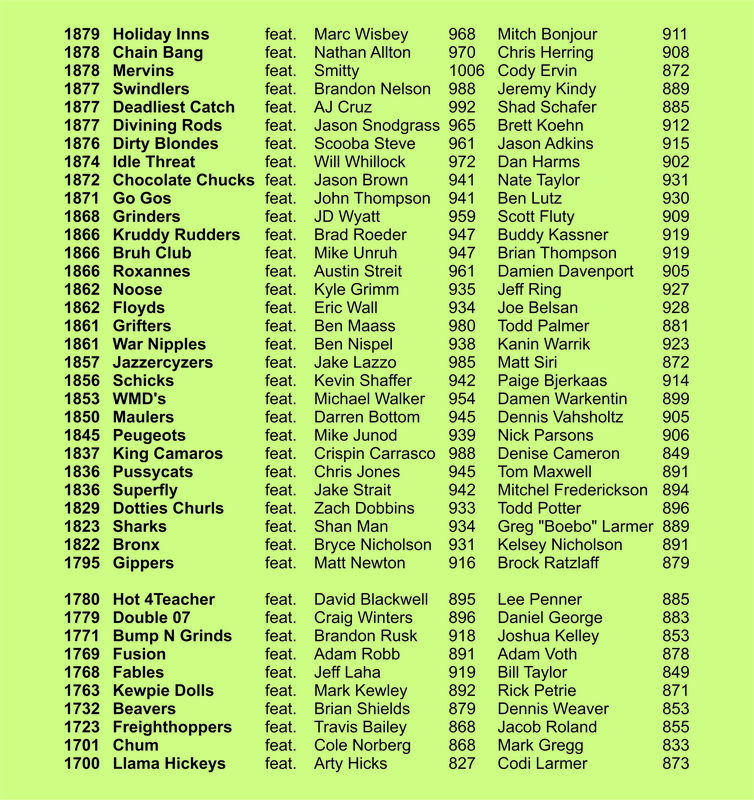 Results of the 7th edition of 1880/1780 Doubles Championships at Camp Hawk. It was a Hoot. Couple spots left! Get in there! Nearly full. Get in here. Heard some that thought this stamp was a little too PG13 for their wall hangers. Hit me up if you share that opinion. You will remain anonymous. Can anybody provide a list of the players that did not get mulligans? I can't do K-Ratings without it.